Blue Champs team lives up to its name in Palaro 2019! The Blue Champs team brought home the gold at the end of this year’s Palarong UPLB 2019. Composed of personnel and students of the College of Arts and Sciences and the Office of the Vice Chancellor for Academic Affairs, Blue Champs emerged victorious over four other teams at UPLB’s annual athletics and sportsfest. Coming in at a close second was Green Hunters, composed of last year’s champions from the College of Agriculture and Food Science and the Office of the Vice Chancellor for Research and Extension. Rounding it out for third place was the Yellow Raptors, composed of the College of Forestry and Natural Resources, the College of Human Ecology, the College of Veterinary Medicine, and the Office of the Chancellor. CAS was also this year’s champion in the students category, with CEAT as first runner up, and CAFS as second runner up. 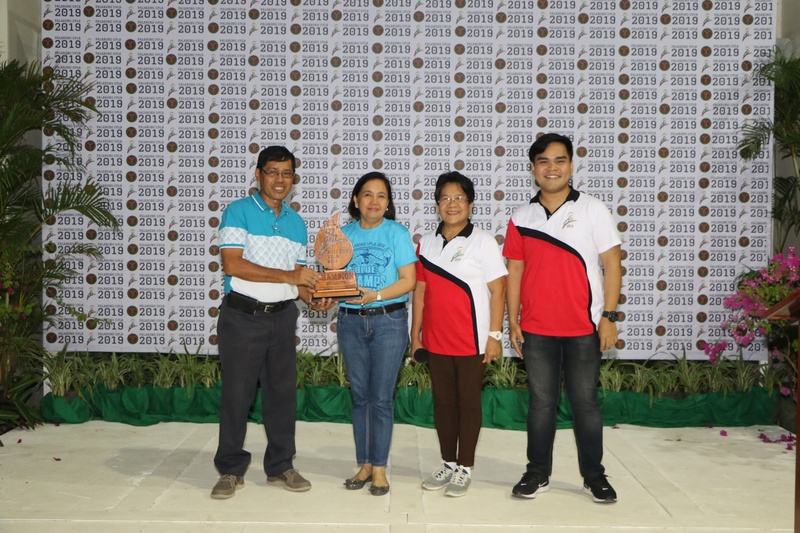 The closing program also included a short ceremony as this year’s host, the College of Economics and Management, turned over the responsibility of hosting next year’s Palaro to the College of Veterinary Medicine. Dr. Eduardo Torres, CVM dean, said that they will do their best to match and even exceed the level of preparations and excitement for Palarong UPLB 2020.